It’s tomato season!!! I wish there was some way to prevent them all from coming in at the EXACT SAME TIME!!! AHHH! 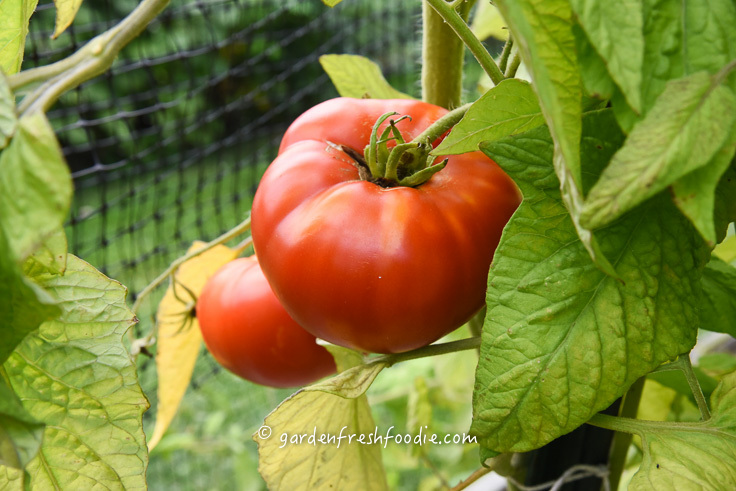 Since I grow a ton, dehydrating tomatoes and preserving the season is a great way to reduce costs and be able to enjoy locally grown tomatoes year round! 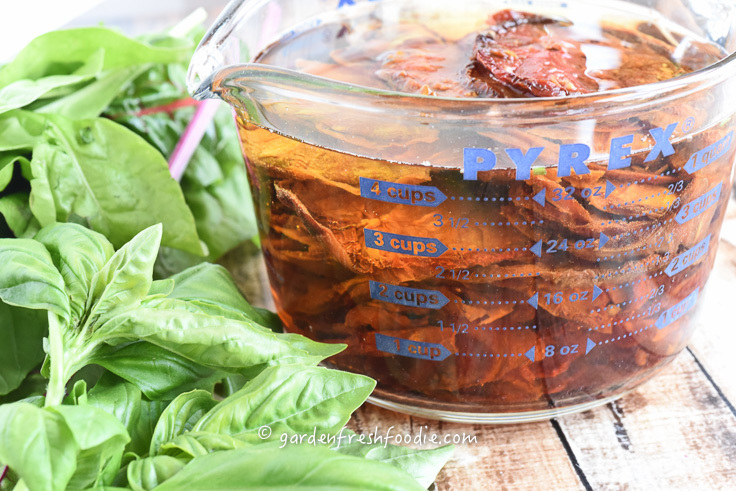 While they won’t be as fresh as they are now, dehydrating tomatoes to create your own sun-dried tomatoes without the use of oil, is an awesome way to preserve tomatoes, while keeping them raw. They are awesome re-hydrated to be added into rice, lentil, bean dishes, or as a flavor booster for veggie burgers! 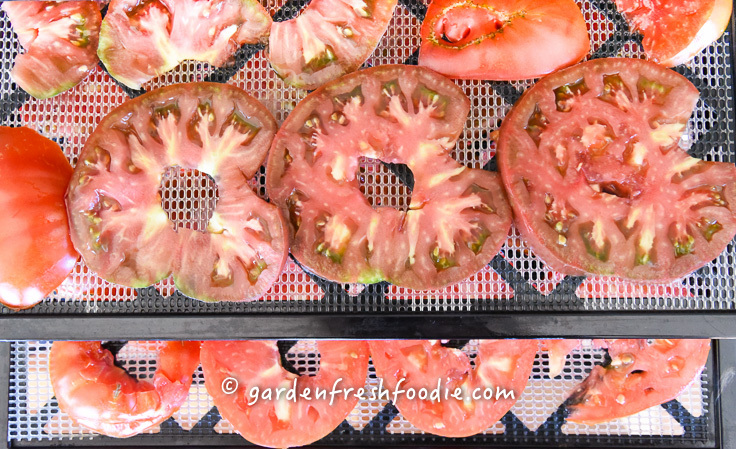 It’s easy to dehydrate tomatoes, especially if you have a dehydrator. I use a 9-tray Excalibur dehydrator with a timer. I LOVE it! They do sell a less expensive model without a timer, but I love the fact that I can set the timer, and dehydrate while we’re sleeping or away at work (it can be a little loud), and it’s not that much more for the timer (you will be psyched you bought it). It allows me to dehydrate a whole bunch of tomatoes (or whatever food) at one time, and allows for flexibility in size of food, by removing trays if I need more space. 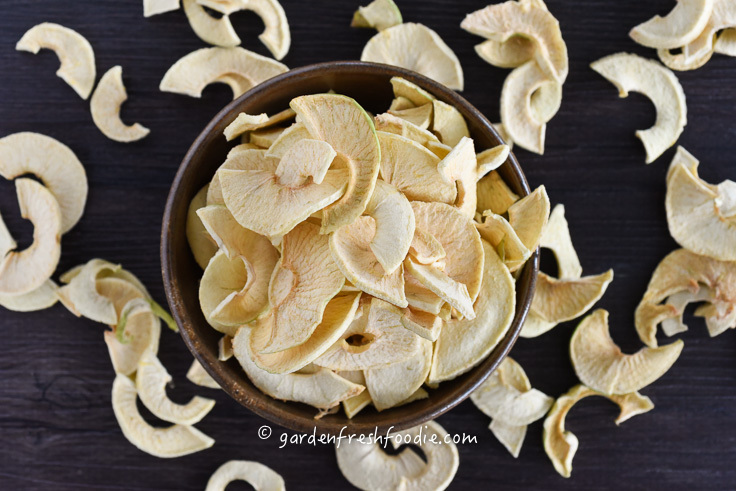 Since apple season is coming soon, I love to dehydrate apples and pears too, without the need for added sugars, oils, or preservatives! For those of you without a dehydrator, check the settings on your oven. You want to be able to go down to at least 125 degrees Fahrenheit. If not, go as low as possible. Foods are considered to be raw if dehydrated at 118 and below. The process takes longer, but keeps enzymes and nutrients in tact. If using an oven, I’d also recommend using a screen or a cooling rack on top of a baking sheet, to allow for air circulation underneath the tomatoes as well as above. If you’re preserving your season, I strongly advise in investing in a vacuum sealer! I use mine a ton during harvest season! It has saved us tons of money in produce and keeps my harvest usable until the next harvest season! I use a Food Saver vacuum sealer, but purchase knock-off brand bags, like these quart-sized and pint-sized ones to save money (they’re BPA-free and SOO much less $ than the Food Saver brand bags). Dehydrate at 118 degrees Farenheit for 14-16 hours (or so). Your timing will depend on how thinly you sliced them, so check them after the 12 hour mark. If you’re using an oven, your time will vary greatly depending on what temperature you’re able to drop your oven to. You’ll want to check much sooner, as oven temps will cook the tomatoes at a much faster rate. Pack into vacuum sealed bags or seal in jars for use throughout the year! These will last for a few years if properly stored. 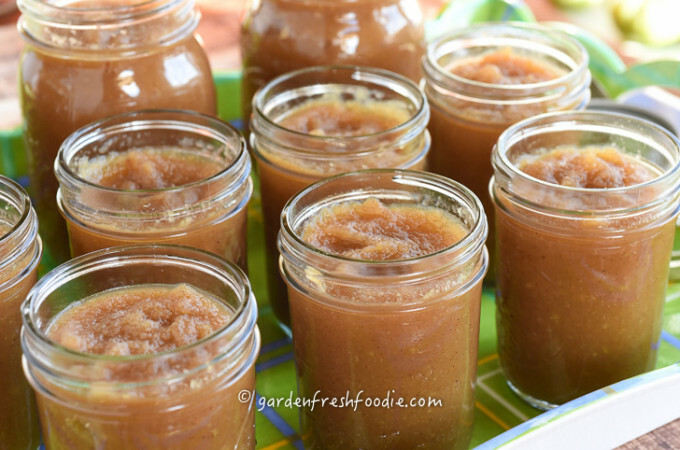 Another way to preserve the season is to freeze or can tomatoes. 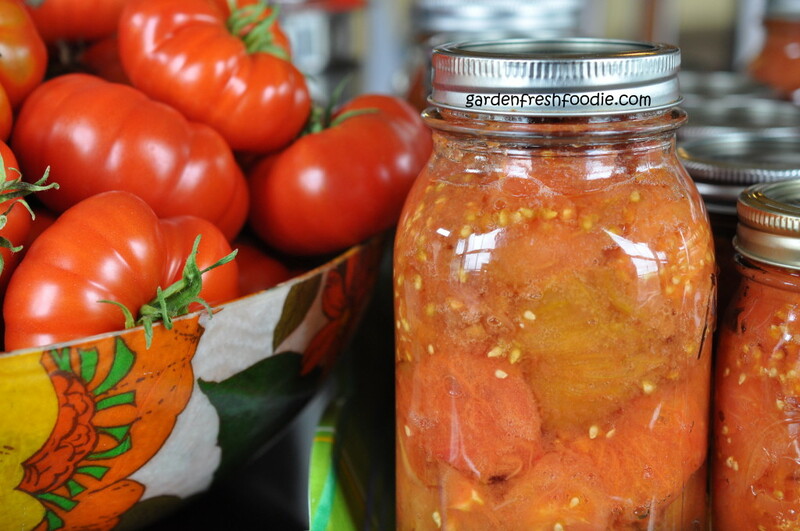 Canning allows you to create your own stewed tomatoes, with or without added salts (you can control how much! ), the high cost of organic canned tomatoes in the stores, or BPA-lined cans. 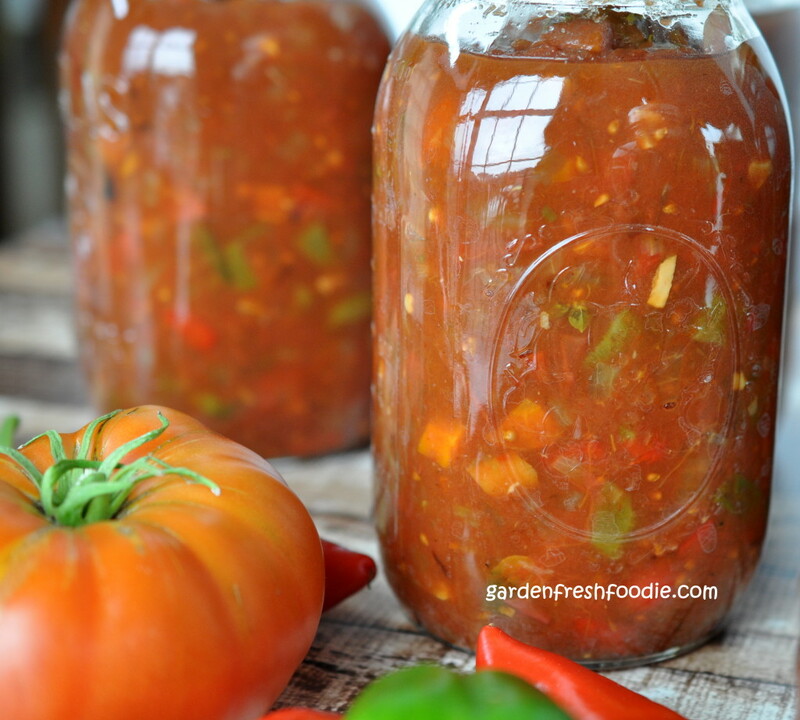 Once canned, you have an easy addition to any recipe you’d like to add tomatoes to! Freezing allows for less work, and minimal processing, however, you’ll have to deal with defrosting and taking up freezer space. You can peel tomatoes (if desired) by placing an X on the underside of the tomato, dropping into boiling water for about 30 seconds or until the skins begin to peel (see video above on how to can tomatoes), and submerging into an ice water bath to stop the cooking process. Peel, core, and chop. Another way is to simply freeze tomatoes whole. The freezing process will allow the peels to slide right off when you go to defrost them. Simply remove the frozen tomatoes from your freezing bags or containers, and roll your hand over them. The peels should release easily as soon as the tomato has thawed slightly. When cutting/peeling those tomatoes, DON’T waste the juice that rolls off those in-season beauties! Store juice in quart-sized containers to be added as cooking liquids for rice, soup stock, or the base for an awesome bloody Mary! 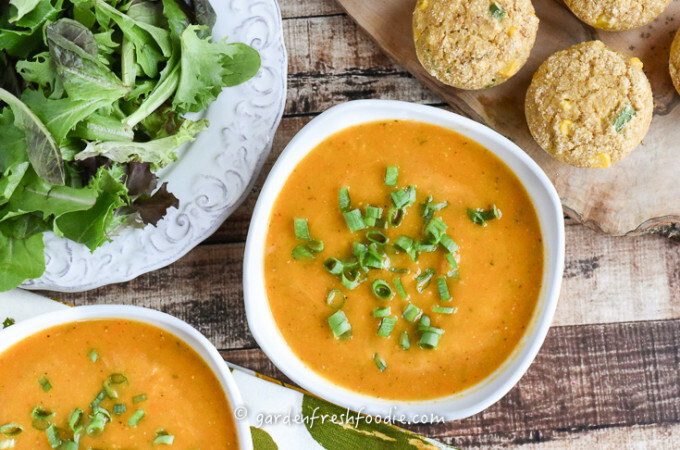 We love to create soups, sauces, and stews from our in-season tomatoes when other garden veggies are at their peek too! 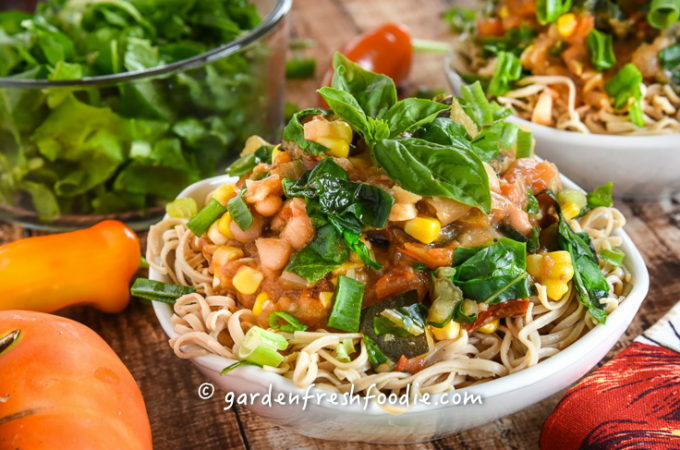 Using our peppers, fresh basil, greens, and other herbs is a great way to insure you’ll have ready to go meals when you have those busy weeknights at work and school. Good luck and enjoy tomato season!